What better way to celebrate life? They had been friends since they were 14 years old. As close as sisters, even though there were times they were not on speaking terms, they knew they would be friends for life. But we don’t live forever. A few years ago one of them got diagnosed with cancer. When she realized the end was no longer an abstract thing in a distant future, but a reality just around the corner, she decided that there was no point in wasting time thinking about death. “I’m alive now, that’s all that matters”, she said. One of the passions they shared was wine. Just a couple of weeks before she passed away, the two almost-sisters went on a tour to one of their favorite wine districts, Franschhoek. Not as famous as their neighbor Stellenbosch, but equally fine wine. If you know where to go. 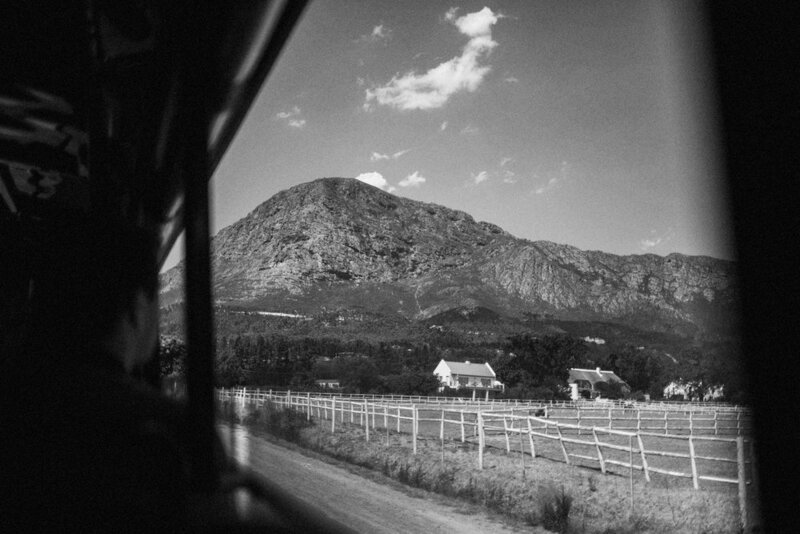 Since then, the almost-sister who was still alive celebrated her friend by taking the tram tour in Franschhoek every year, around the same time. That woman is the mother of the siblings I was living with when I was in Cape Town last year. When they asked if I wanted to join them for this tradition, I had my bag packed before they even finished the story. One of my favorite days in South Africa.